Parkinson’s disease is a well-known condition, but most people only know it on the surface. The disease has many underlying factors that affect the patient’s mind and body. In recognition of Parkinson’s Disease Awareness Month, following are some questions and answers about this condition. Parkinson’s disease is a neurodegenerative disorder that affects dopamine-producing neurons in a specific area of the brain, called substantia nigra. Symptoms generally develop slowly over years, and often include tremor, bradykinesia, limb rigidity, and gait and balance problems. The onset and progression of the disease can vary for different people. However, following is what’s known as the five stages of the disease. 1. Mild symptoms generally do not interfere with daily activities. Tremor and other movement symptoms may occur on one side of the body only. Changes in posture, walking, and facial expression may be present as well. 2. Movement symptoms affect both sides of the body, and walking and posture problems may become more apparent. 3. Loss of balance and slowness of movements progress, and falls are more common. The individual may remain independent, but have some difficulty with activities such as dressing and eating. 4. Symptoms are severe and limiting. The individual may require a walker and is likely unable to live alone. If someone you love requires assisted living, we at Waltonwood are proud to offer senior living communities in Michigan, Virginia, and North Carolina with exceptional services and attention to residents’ needs. 5. Stiffness in the legs may require a wheelchair, and around-the-clock nursing care is required. The individual may also experience hallucinations and delusions. The causes of the disease are unclear, but it happens when nerve cells die in the brain. 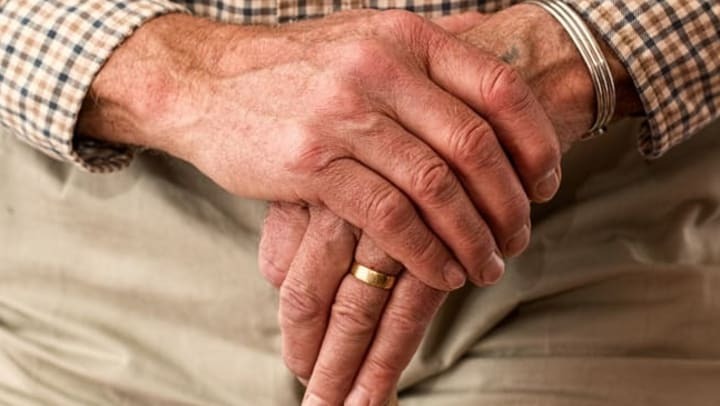 Issues that are being considered in relation to Parkinson’s are low dopamine levels, low norepinephrine levels, Lewy bodies (clumps of protein in the brain), genetics, and autoimmune conditions such as rheumatoid arthritis. Facial expressions that appear depressed, sad, or angry for no other reason. Approximately 60,000 Americans are diagnosed with Parkinson’s each year. The incidence of the disease increases with age, but about 4 percent of people with Parkinson’s are diagnosed before age 50. Men are 1.5 times more likely to have the disease than women. The relationship between race and Parkinson’s disease risk is controversial. Although much more research is needed, some studies suggest that African-Americans are less likely to have PD than non-Hispanic Caucasians, while Latinos are least likely to develop the disease. While there currently is no cure, many of the symptoms and the progression of the disease can be minimized under a physician’s guidance. How can I help the Parkinson’s disease awareness efforts? During this Parkinson’s disease awareness month, you can use the hashtag #KeyToPD on related social media posts and videos to help the effort. The Parkinson’s Foundation is also organizing a #KeyToPD resource to provide tips for people living with the disease. If you know of ways to assist others, share your thoughts with the foundation.